The new Humana facility features an activity room almost twice the size of the former Metairie site. In addition to fitness classes and cooking demos, other programs offered include health and wellness seminars, and disease-specific education classes. The best news? Many of the events can be attended by anyone at no cost. Culinary Destination – The New Orleans Culinary & Hospitality Institute will advance scholarships and training in the Crescent City. As we all know, one of the best things about New Orleans is its long tradition of amazing chefs and cuisine. Now, the $32 million New Orleans Culinary & Hospitality Institute — which recently broke ground — will open in early 2019 to further enhance NOLA’s position as a culinary superstar. 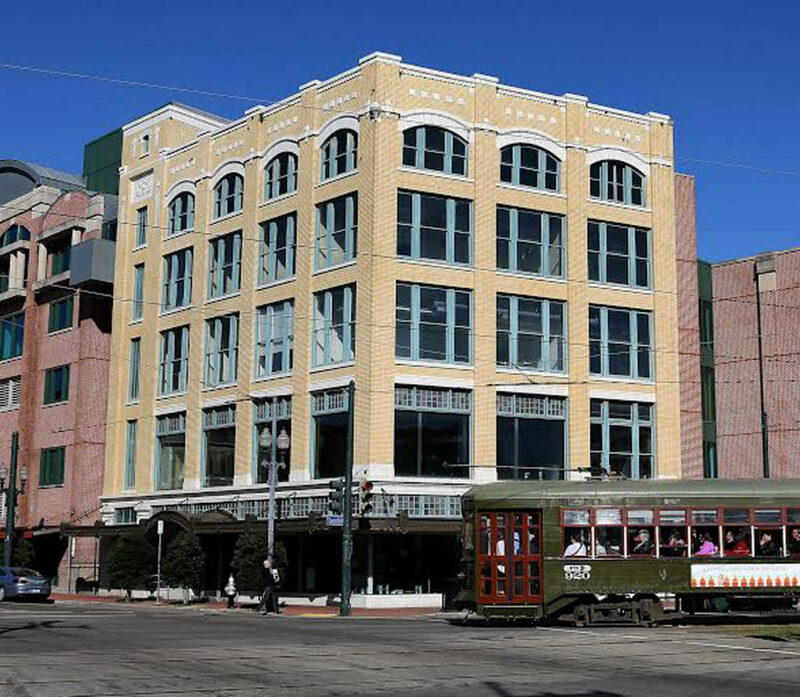 NOCHI will be located in a historic five-story, 93,000-square-foot space in the Central Business District. The renovations are already underway by Woodward Design+Build — the general contractor for the project. Designed by Eskew+Dumez+Ripple architecture firm, the school will include five dedicated teaching kitchens; a beverage lab for wine and spirits programs; a retail cafe space on the ground level; separate classroom and office spaces for NOCHI and Tulane University; and an event center on the fifth floor with its own showcase catering kitchen and terraces boasting breathtaking views of downtown. Maria’s Pick: App Happy – These new apps will help kickstart improved health, happiness and wellbeing in 2019. This new app offers on-site professional beauty and wellness services that’s perfect for busy professionals on the go. It’s a great way to transform your living room or hotel room into a spa without the stress of driving, parking, tipping multiple people for one service or waiting past an appointment time. Quote from Alicia Alonzo-Reynaud, founder of Spafoo, TK. Spafoo even provided pedicures for the Saints earlier this season! While dating apps are aplenty these days, GoodKarma takes a different approach to love by giving users instant access to enriching date activities, such as helping to paint a school, shoveling snow for a handicapped neighbor, tutoring students after school or dog walking. The community of generous users sets out to spread positivity and love through participation in selfless activities. Stick to your 2018 resolution to exercise more with this app that offers more than 800 streaming workouts right on your smartphone. Now there’s no excuse to skip your workout for the day, since you can fit something in no matter where you are. And, if you answer a few simple questions, you’ll receive personalized recommendations in line with your personal fitness goals.